We pack and ship anything, anywhere. You can rely on our experts for shipping large items, freight items, valuables and more. As one of the world's top shipping companies, we partner with preferred carriers to ensure safe, efficient commercial and residential delivery. We strive everyday to be your one-stop shipping store. Give us your small, fragile packages. Or your big, heavy awkwardly shaped ones. Give us your grandfather clock or your grandmother's china. When you take your items to Pak Mail, we'll put over 25 years of experience to work for you, packing and shipping them perfectly. Pak Mail offers custom crating and shipping solutions for heavy, over-sized and fragile items, including machinery and industrial equipment. Our certified crating experts evaluate the fragility of your items to determine the best crating and packing options. Pak Mail provides a wide range of industrial, residential and small business freight solutions. We can plan and manage ongoing freight logistics needs for your business or complete a one-time shipment that is too large, awkward, fragile, or difficult for other carriers to handle. 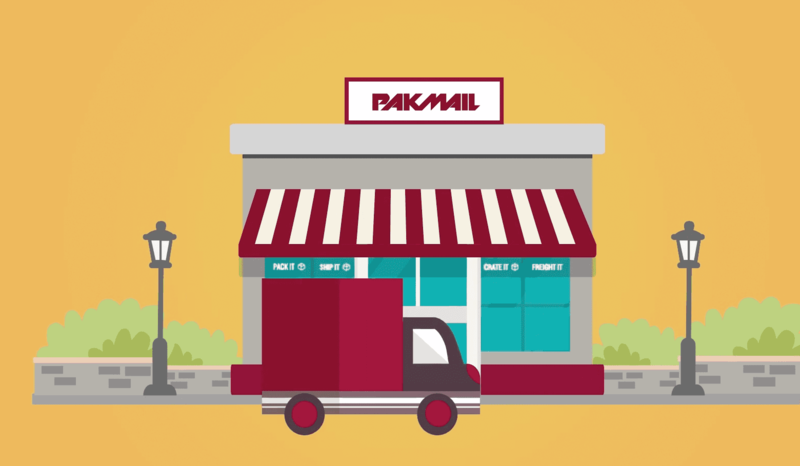 Pak Mail is not just a shipping store, we are a ship anything store. We help our customers do everything from mailing a letter to custom crating large machinery for?international shipping. Whatever your needs are, we’ve got you covered. Pak Mail ships with all major carriers including: UPS, FedEx, DHL, USPS and freight shipping companies. We can ship what others can’t or won’t, which sets us apart from other shipping companies. So bring your hard to ship items to Pak Mail and let us show you what we can do.